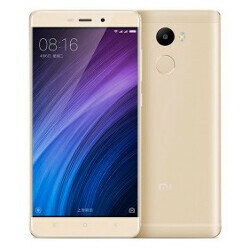 Chinese base giant smartphone manufacturer, Xiaomi has just added three new low budget Smartphones to their Redmi series lineup. The three devices which are the Xiaomi Redmi 4, Redmi 4a and Redmi Prime are no doubt the best smartphones you can get within the price range. The Xiaomi Redmi 4 Prime is the highest of all the three devices in the Redmi 4 lineup. The Redmi Prime which has 3gb RAM, 32gb ROM, Fingerprint scanner and a massive 4100mah battery goes for just $133 which is about N42,500 (going by the current bank exchange rate of N320/$), that's definitely one of the best deal you can get for such specification. The device carries a 5.0-inch, IPS LCD Capacitive touchscreen display with a resolution of 1080 x 1920 pixels (443 PPI). It is powered by Snapdragon 625 Cortex-A53 Octa-core processor with a clock speed of 2.0 GHz. It features a 3gb RAM and a 32gb ROM which can be expanded through the hybrid sim slot with up to 256gb SD card. It also packs a massive 4100mah battery.